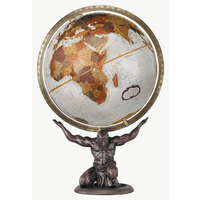 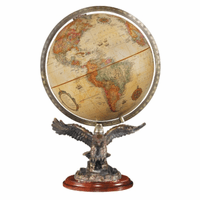 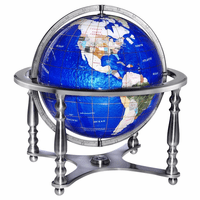 The Colonial desktop globe, by Replogles, features a 12' diameter globe in antiqued White, set in a full die-cast meridian. 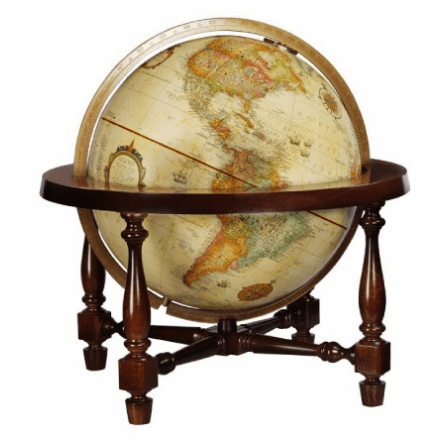 The Colonial style base has a spoked design, in walnut hardwood finish, with a horizontal top that the globe fits inside to spin freely. 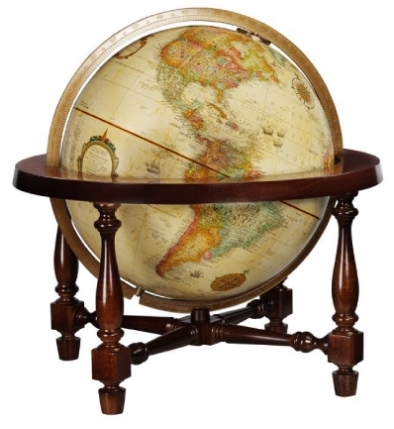 The total dimensions are 16.25' x 16.25' x 17', perfect for desktop or side table to add interesting accent to your office or home. 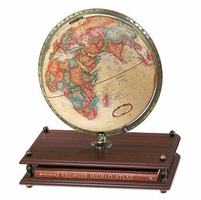 It's a great choice for giving a dramatic, fascinating gift for wedding, anniversary or other special occasion.